Eyes – You have to observe what is going on, you have to do your research and not jump straight in with a solution that might not be best. Ears – You have to listen to the other members of your team and encourage the quiet ones to share their ideas. This means being quiet yourself sometimes! Mouth – You will need to speak up and share your ideas. You will need to encourage one another with your words. However, don’t be the one doing all the talking! Hands – You need to use your skills, but also remember that different people have different skills. The best teams make use of the everyone’s best skills in their role. Sometimes, though, you have to try something new and learn a new skill. Feet – Use your feet. Projects and problems don’t solve themselves, you need to work at them, you can’t be the one sitting down all the time! 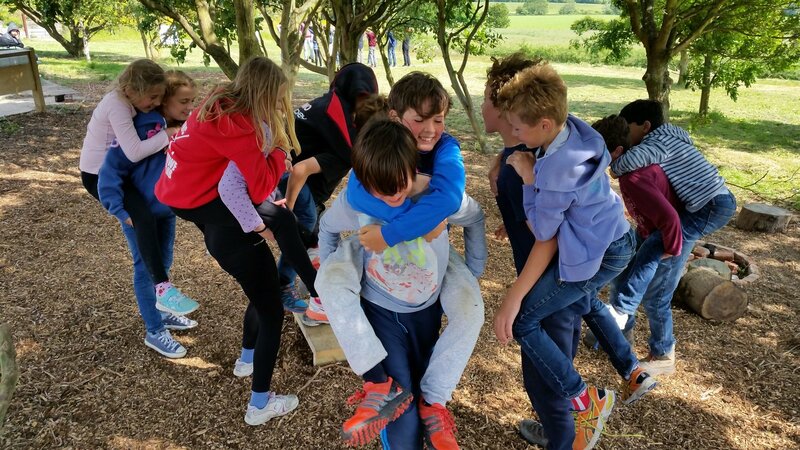 At Birch Hall Adventures we encourage teamwork and help young people to build teams that work, support each other, have fun and succeed.